Detailing the physical features, habits, territorial reach and other identifying qualities of the White-spotted Sawyer Beetle. 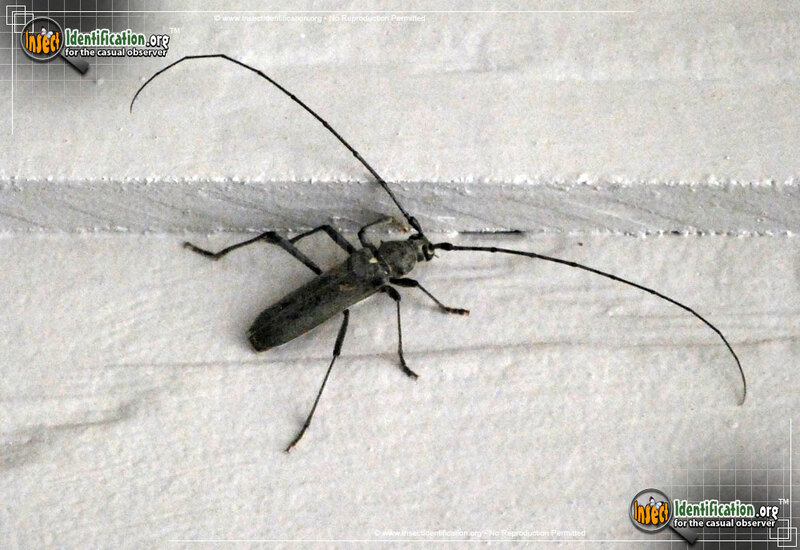 The White-spotted Sawyer Beetle can be found near most evergreen forests, the breeding grounds for their tree-boring larvae. 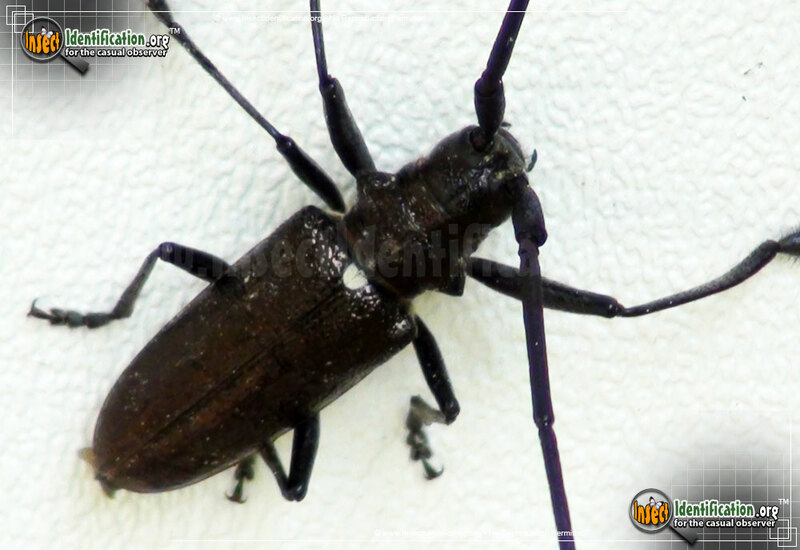 A single white spot at the top of the elytra (wing coverings) adds a pop of color to this black beetle. Smaller white speckling may be visible on the eltyra of some individuals as well, but it may also be absent. Females are more likely to have this white speckling than males. 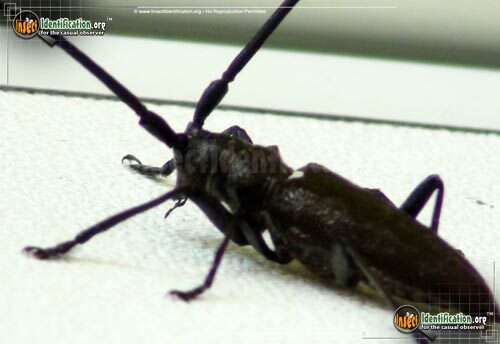 The White-spotted Sawyer Beetle has a spike, or a protrusion, coming out of each side of its collar area. 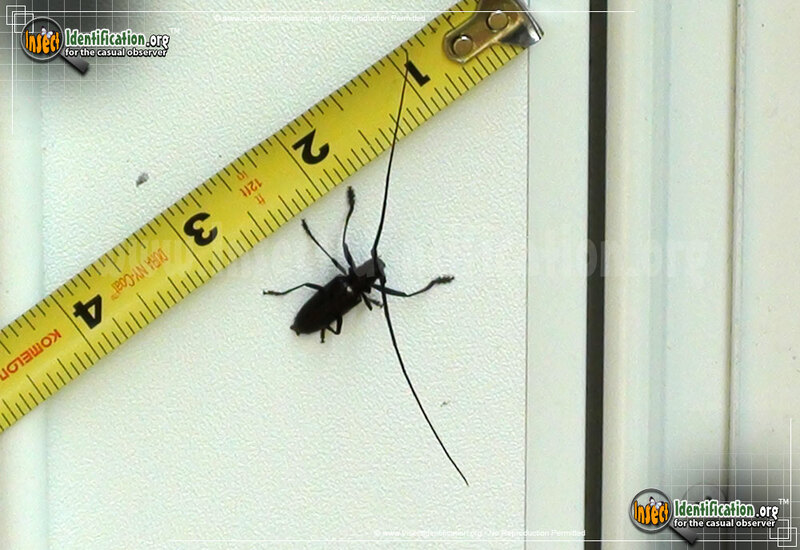 This species is a type of Long-horned Beetle so extraordinarily long antennae (also called 'horns') reach out far beyond the head. 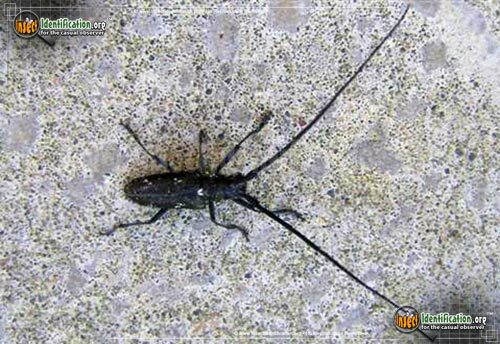 In fact, their antennae can be up to 3 times longer than their actual bodies. 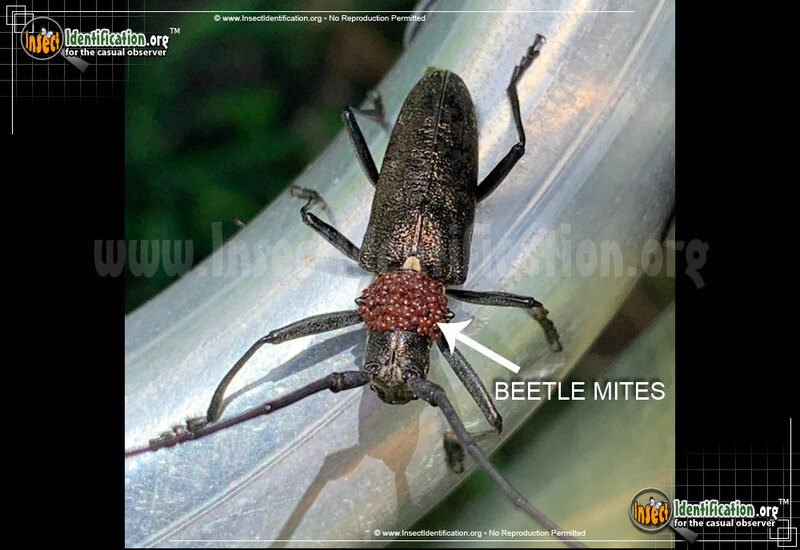 This beetle prefers conifer trees like pine, spruce, fir, and can be found in evergreen forests. They may also be found in areas where evergreen branches are freshly cut, like lumber yards. 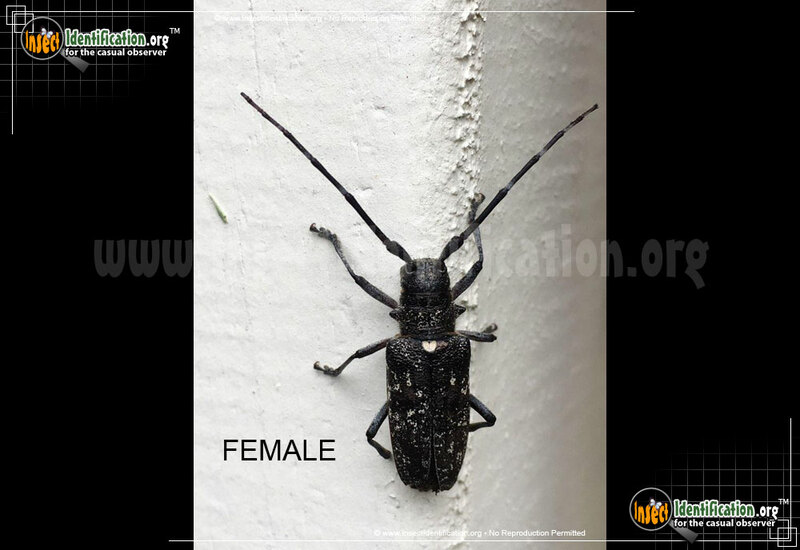 Females lay eggs on the tree and when the larvae hatch, they bore deeply into the wood of dead or dying trees. Adults are active in the daytime and eat twig bark.